THE HOME THAT YOU HAVE BEEN WAITING FOR, IS HERE! Magnificent condition, updates and gorgeous backyard. This home offers not only all wood floors on both floors, but also recently updated kitchen with stainless appliances, granite counters and abundant counter space and cabinetry.The bathrooms on every floor have been updated with new granite counters, all with tile floors. The front to back 1st floor family room adjacent to a 19x17 sun-room features a nice fireplace and lots of room for TV, bookcases, large furniture and separate reading area. Garage has direct access to the house, making it very easy to transport groceries directly into kitchen. nice inviting foyer, formal dining room and living room also included on first floor. The second floor has four generous bedrooms, including a master suite with walk-in closet and remodeled bath. Large vanity in 2nd bath.Also included: snowblower, basement safe, garden tools, wine rack in basement. Enjoy great summers with a magnificent level yard with large fenced-in area, well designed patio for cooking & outdoor enjoyment. Other features: New Andersen windows, new light fixtures, CENTRAL AIR, six panel doors, large closet space, unfinished basement for future expansion if needed, plenty of storage space in garage. 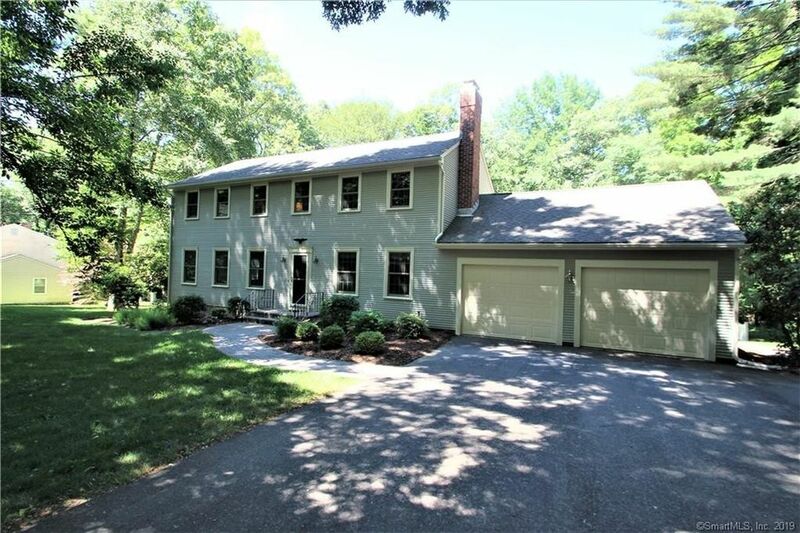 All of the above located in popular low traffic neighborhood surrounded by beautiful well kept homes and just minutes to shopping areas, 13 min to Uconn, 25 min to Hartford and less than 20 minutes to major malls.